brief account of Dresden's life and Fulton County History is told in his eulogy. Col. D. W. H. Howard, of Wauseon, Ohio, the only survivor of this branch, a gentlemen, over eighty years of age, thinks its period of operation is fairly described by the years 1816 to 1835 or '40. He traces the route as follows: "I think the main and principal route crossed the Ohio river near Northbend; thence on a direct line (following the streams practicable) to the upper Auglaize, and the Blanchard's fork of the Auglaize, passing near the Shawnee village where is now the city of Wapakoneta, and to Ocquenesies town on the Blanchard, where is now the village of Ottawa; thence to the Grand Rapids of the Maumee (where the river could be easily forded most of the year), and at the Ottawa village of Chief Kinjeino where all were friendly, and the poor slave was treated kindly; thence a plain trail north to Malden, Canada." I want to tell here an incident which Col. Howard relates, by way of illustrating the methods used, the obstacles overcome, and the presence of mind needed by Underground Railroaders, from the beginning to the close of the Road's activity. Mr. Howard's story runs mainly as follows: "Ten miles below the Rapids at Roche Teboult or Standing Rock, lived one Richardson, a Kentuckian, who made a living by catching slaves. At one time my father, Edward Howard, was piloting a party of slaves north, and the trail passed only three miles west of Richardson's. In order to avoid being surprised by this man it was necessary to keep a close lookout; and for greater safety the trip north from my father's was always performed in the night. We had a whisper from an Indian friend that this party, which we had kept concealed in the thick swampy forest near our cabin for some time, was being watched and would be ambushed on the way. The night they moved out on the trail, we (I was but a boy, but often accompanied my father) took a circuitous route, hoping to elude pursuit. After veering to our right and reentering the old trail, my father left a boy to guard and bring up the rear. We had not advanced more than three miles, when we plainly heard the beat of horses' hoofs behind us; the guard was posted near the trail, with orders to shoot the horse, if necessary; in a few minutes two horsemen approached the ambuscade and in a second more, the sharp crack of a rifle echoed through the forest, and the horse with a groan plunged to the ground. This checked the pursuing party, and gave stimulus and speed to the feet of the fugitives. The slave-catchers were now afraid to advance, and retreated over the trail, and the fugitives, though badly frightened, were permitted to continue their march to freedom unmolested. " We have seen that the line of road on which this incident occurred was probably the oldest in Ohio. It did not long remain the only route. The earnest teaching of Lundy and Rankin was imparted to minds open to truth. Indeed the Quaker grounded in abolition sentiments. Colonel Howard’s eulogy by Judge Hamilton of Toledo hauntingly mentions Colonel Dresden Howard’s love of the Indians and how he and his father led the fugitives to freedom in the dark of the night. The agents of the Underground in Ms. Eicher’s family usually took the route north from West Barre to Winameg. Her family also took their ‘charges’ to the King farm as it was a site close to the Michigan border. Robert McClarren, Colonel Howard’s grandson, comments that Winameg is a day’s ride from the Maumee River going north and rescue parties would have untilized the Winameg camp at it sat directly on the crossroads of several of the Indian trails. The terminus of the northern route would have been Malden in Canada. Was also known as Aetna and is located at the intersection of Co Rd 10-2 and Co. Rd. L. The old Pike Twp. School building still stands there as well as the Aetna Grange and the new Pike Twp Hall. The corner store burned several years ago but there are several residences that still remain there including the Colonel Dresden Howard homestead which is now the home Dresden's great grandson Lawrence McClarren. 1. Thomas1 Howard was born November 15, 1758 in Dresden, Yates, NY, USA, and died May 25, 1825 in Grand Rapids, OH. He married Elizabeth Armstrong March 17, 1783 in Mifflin, PA, daughter of William Robert Armstrong. She was born January 16, 1761, and died September 17, 1810 in Benton, Yates , NY. + 2 i. William2 Howard, born January 26, 1783; died June 03, 1833 in Grand Rapids, OH. + 3 ii. Alexander HOWARD, born December 24, 1785 in Mifflin, Cumberland Co., Pennsylvania; died October 23, 1849 in Stephenson Co., Illinois. + 4 iii. Edward Howard, born November 10, Mifflin, Cumberland Co., Pennsylvania died February 02, 1841 in Grand Rapids, OH. 5 iv. Elizabeth Howard, born 1789; died 1790. 6 v. James Howard, born 1793; died 1794. + 7 vi. Sidney Howard, born November 05, 1795 in Geneva, Ontario, NY, USA; died 1885 in Shawnee, Allen, OH, USA. + 8 vii. Robert Armstrong Howard, born November 10, 1798 in NY; died November 26, 1872 in Winameg, Fulton Co. OH. 9 viii. Richard Montgomery Howard, born April 08, 1801; died January 26, 1834 in Grand Rapids, OH. He married Eleanor Fulkerson. 2. William2 Howard (Thomas1) was born January 26, 1783, and died June 03, 1833 in Grand Rapids, OH. 10 i. James Montgomery3 Howard, born 1821; died December 17, 1840 in Grand Rapids, OH. 11 ii. Charlotte Howard. She married William Pratt. 3. Alexander2 HOWARD (Thomas1) was born December 24, 1785 in Mifflin, Cumberland Co., Pennsylvania, and died October 23, 1849 in Stephenson Co., Illinois. He married Betsy Hobart. She was born 1771 in New York, and died 1845 in Stephenson Co., Illinois. + 12 i. John3 HOWARD, born 1811. + 13 ii. David Alexander (H.?) HOWARD, born 1818; died April 10, 1901 in R.A.'s home, Caney, Montgomery, Kansas. 14 iii. Mary HOWARD. She married William ROAN/ROWEN September 29, 1833 in Wood County, Ohio. 15 iv. Elizabeth HOWARD. She married Henry BROOKS April 08, 1829 in Wood County, Ohio. + 16 v. Calista Caroline (Cecilia) Howard, born October 30, 1808; died March 01, 1838 in Pike Township, Fulton Co., Ohio. + 17 vi. Alexander P. Jr. HOWARD, born Abt. 1810 in New York. 4. Edward2 Howard (Thomas1) was born November 10, 1787 in Yates Co. ,NY, and died February 02, 1841 in Grand Rapids, OH. He married Nancy Haight December 31, 1816 in Yates Co., NY. She was born in Scotch/Irish Descent, and died September 25, 1881 in Grand Rapids, OH. + 18 i. Dresden Winfield Huston3 Howard, born November 03, 1817 in Dresden Yates Co. New York; died November 09, 1897 in Fulton Co. OH. 19 ii. Pike Monroe Howard, born 1819; died 1841. 20 iii. Anajanette Howard. She married George Laskey. R7 all in Lucas County, OH; Edward Howard, deceased late of Wood county. 7. Sidney2 Howard (Thomas1) was born November 05, 1795 in Geneva, Ontario, NY, USA, and died 1885 in Shawnee, Allen, OH, USA. She married Joshua Nelson, son of Phineas Nelson and Hannah Lane. He was born December 11, 1790 in Fishkill, NY, USA, and died 1837. + 21 i. Governeur Howard3 Nelson, born 1819; died July 1864 in San Antonio, TX. 22 ii. Elizabeth Aurelia Nelson, born 1824. 8. Robert Armstrong2 Howard (Thomas1) was born November 10, 1798 in NY, and died November 26, 1872 in Winameg, Fulton Co. OH. He married Priscilla Nelson, daughter of Phineas Nelson and Hannah Lane. She was born February 02, 1799, and died May 07, 1872. Born in Geneva, Ontario County, New York on November 10, 1798 to Thomas and Elizabeth Howard. He joined a family of three older brothers, William , Alexander; and Edward. Also welcoming the new baby was his 3 year old sister Sidney II, born. 5 November 1795 in Geneva, one of the earliest children born in this frontier town. Three years later, a younger brother Richard Montgomery Williams Howard. Of his boyhood we know very little. His father Thomas purchased several parcels of land in the town of Geneva and later in the country east of the village of Benton, and about one mile north of Hopeton. New York. The family lived in Ontario County New York from 1794 until 1821. On May 22, 1821, Robert joined his father Thomas Howard, older brother Edward Howard and wife, Nancy Haight Howard, and younger brother Richard Howard and also two children--niece Sidney (daughter of William Howard) and nephew, Dresden Winfield Huston Howard as they left their home on the banks of Seneca Lake, near Geneva for the Ohio country. After a twenty-six day trip they finally arrived at the little village of Orleans, a small hamlet under Ft. Meigs. Originally they had hoped to go to Tecumseh (now known as Ann Arbor, Michigan, but the residents of Orleans persuaded them to stay on the Maumee. After spending the first winter near the fort, Thomas purchased lands at Gilead in 1822 and finally in the spring of 1823 cut a road from the Indian Mission, eight miles below, through a dense wilderness to the rapids of the Maumee, where they founded their settlement. All the families along with Grandfather Thomas lived upon their original purchases, clearing away forest and making for themselves comfortable homes. With a home for his bride, Robert A. returned to New York and married his sweetheart, Priscilla Nelson in February of 1823, bringing her back to Ohio with in the late spring of that year. On a cold winter day in January of 1824, their first child arrived,--a daughter names Phoebe Adaline. Next they were blessed with a set of twins, Aurelia Augusta and Aurelius Augustus, born January 1826. Nelson Montgomery arrived on January 21, 1828 and William Henry was born on November 14, 1829. 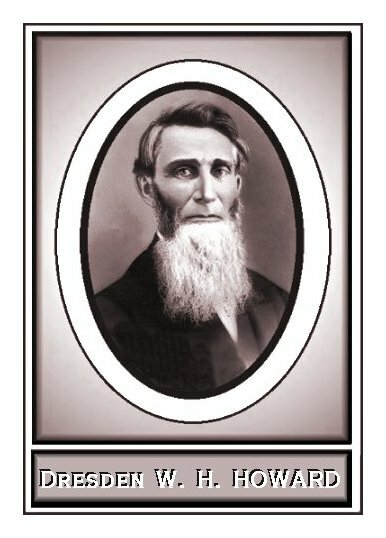 Two more sons arrived while they lived in Gilead, Edwin Alexander on May 11, 1832 and Richard William on September 24, 1834. In 1835 Robert A. Howard sold the farm in Wood County, and removed to the place on which he died in York Township, Lucas County, Ohio. There he and Priscilla had two more sons, James Walter, in 1837 and Thomas Corwin in 1840. "Many hands make light the work " around a farm and Robert and Priscilla had seven sons to help out! Robert A. Howard immediately took high rank among the early settlers of that part of Lucas county, and was "very soon made a Justice of the Peace, which office he held for many years and used it as a means of effecting a settlement of differences between his neighbors, rather than as a means of litigation. "He was a just man, and his advice, oftener than his judgment was made the basis of the adjustment of controversies brought before him." 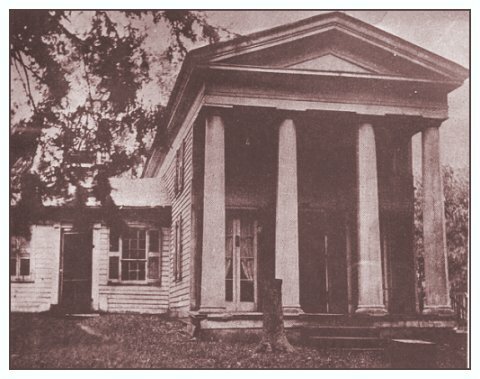 The first county court under traveling Judge Saddler was held at the Robert A. Howard home in 1850. Interestingly enough, it was Judge Saddler who introduced baseball to the Pike Township community. In the early days of Fulton County, the Howard home provided a stopping place for the weary emigrant in his long and tiresome journey westward. Sometimes as many as thirty travelers were in their home. One of the earliest post offices established in Fulton County was located in Robert Howard's log house. It was named Essex and served as the post office until abandoned in 1851 when the county seat was built at Ottokee. When Ottokee was located near the geographic center of the county, the land was nearly all covered by forests. The Howard home, a large log house located three and one-half miles east of Ottokee was designated as the place where common pleas court should be held until a court house could be built at Ottokee. It is on record that one or two terms of the court of common pleas were held in this log house before the new court house was finished and ready for use. Robert A. Howard's lovely wife, Priscilla Nelson Howard was born on February 1799 at Fishkill, New York, the daughter of Phineas and Hannah Lane Nelson. She was descended from early Dutch settlers in New Amsterdam (New York City). Priscilla died on May 7, 1872 at the family home in Winameg, Pike Township, Ohio.. Her death certificate reads "Worn Out." Seventy-three years was a long and lengthy life in those days. After Priscilla's death, Robert lost his interest in living and six months later he died of what the family considers a broken heart -- November 26, 1872. They are both buried in the family plot in the Salisbury Cemetery, Pike Township, Fulton County, Ohio. 23 i. Edwin A.3 Howard. 24 ii. Phoebe Adaline Howard, born February 01, 1824; died April 28, 1850 in Greenbush, Wisconsin. 25 iii. Augustus Howard, born 1826 in OH. He married Sarah A. ??? ; born 1826 in NY. 26 iv. Aurelia Augusta Howard, born 1826. She married John H. Reed. 27 v. Nelson Montgomery Howard, born January 21, 1828; died May 24, 1914. He married Sarah H. ??? ; born January 27, 1849; died October 18, 1917. 28 vi. William Henry Howard, born 1830. He married Elsie Partridge. 29 vii. Richard A. Howard, born September 1834; died March 18, 1856. + 30 viii. James W. Howard, born October 06, 1837; died October 30, 1896. 31 ix. Thomas Corwin Howard, born January 10, 1840; died February 06, 1858 in Toledo, OH. He married Hannah ??? ; born October 06, 1837; died October 30, 1896. 12. John3 HOWARD (Alexander2, Thomas1) was born 1811. He married Abigail UNKNOWN. + 41 x. Nancy Jane HOWARD, born April 22, 1836 in Hancock Co., Ohio. 13. David Alexander (H.? )3 HOWARD (Alexander2, Thomas1) was born 1818, and died April 10, 1901 in R.A.'s home, Caney, Montgomery, Kansas. He married Mary Ann BROWN September 29, 1839 in Wood, Ohio. She was born April 10, 1820 in Ohio, and died November 30, 1900 in Caney, Montgomery, Kansas. 42 i. Celestia4 HOWARD, born 1841 in Pennsylvania. The following report within a report notes for Celestia. 1. CELESTIA RUBY2 HOWARD (DAVID1) was born July 13, 1840 in Lucas County, Ohio (Source: Death Certificate. ), and died September 22, 1931 in Decatur, Benton County, AR (Source: Death Certificate.). She married THOMAS B. MCMULLIN. He was born 1824 (Source: 1880 Cooke Co., Texas Census. ), and died May 02, 1884 in Montgomery County, Kansas (Source: Montgomery County Probate Records, Vol. D, Page 591.). 2. i. VIRGINIA FANNIE3 MCMULLIN, b. January 14, 1864, Texas; d. October 20, 1942, Decatur, Benton County, Arkansas. ii. IDA MCMULLIN (Source: 1870 Denton County, Texas Census, M593, rl. 1582, Pg. 135. ), b. 1865, Texas (Source: 1870 Denton County, Texas Census, M593, rl., 1582, pg. 135. ); d. Bef. 1880.
iii. DINAH J. MCMULLIN (Source: 1870 Denton County, Texas Census, M593, rl. 1582, Pg. 135. ), b. 1868, Texas (Source: 1870 Denton County, Texas Census, M593, rl. 1582, pg. 135. ); d. Bef. 1880. 3. iv. JOHN THOMAS MCMULLIN, b. February 13, 1870, Texas; d. December 26, 1938, Taos, New Mexico. 4. v. LUCY J. MCMULLIN, b. February 07, 1874, Pilot Point, Texas; d. April 22, 1911, Rhea's Mill, Arkansas. vi. MARY MCMULLIN (Source: 1880 Cooke Co., Texas Census, T9, rl. 1298, ED 117, Sheet 31. ), b. 1877. 2. VIRGINIA FANNIE3 MCMULLIN (CELESTIA RUBY2 HOWARD, DAVID1) (Source: name from 1870 Denton Co., Texas Census, M593, rl. 1582, pg. 135.) was born January 14, 1864 in Texas (Source: Death Certificate. ), and died October 20, 1942 in Decatur, Benton County, Arkansas (Source: Death Certificate.). She married (1) THOMAS KEITH, son of WILLIAM KEITH. He was born October 13, 1853 in Maysville,Arkansas (Source: Death Certificate, T624, rl. 44, ED 17, Sheet 4. ), and died April 12, 1940 in Decatur,Arkansas (Source: Death Certificate, Page 9.). She married (2) F. G. PRIESTLY July 10, 1887 in Washington County, Arkansas. He was born January 1864 in Missouri (Source: 1900 Benton County, AR Census, T623, rl. 50, ED 8, Sheet 13. ), and died September 1931 in Pittsburg, Kansas. Dr. Priestley, a former resident of this place, was buried last Friday in Siloam Springs. He died at the home of his son, Mack Priestley in Pittsburg, Kansas. i. MACK F.4 PRIESTLY, b. April 1888, Arkansas (Source: 1900 Washington Co., AR Census, T623, rl. 50, ED 8, Sheet 18. ); d. February 1970, McCallen, Hidalgo County, Texas (Source: Social Security death index online www.ancestry.com.). ii. NOLIA L. PRIESTLY, b. October 1889, Arkansas (Source: 1900 Washington Co., AR Census, T623, rl. 50, ED8, Sheet 18.). iii. THOMAS J. PRIESTLY, b. March 1890, Arkansas (Source: 1900 Washington Co., AR Census, T623, rl. 50, ED 8, Sheet 18.). 3. JOHN THOMAS3 MCMULLIN (CELESTIA RUBY2 HOWARD, DAVID1) (Source: 1880 Cooke Co., Texas Census, T9, rl. 1298, ED 117, Sheet 31.) was born February 13, 1870 in Texas (Source: Death Certificate. ), and died December 26, 1938 in Taos, New Mexico (Source: Death Certificate.). He married ELLENOR MARLOW October 12, 1891 in Independence, Montgomery County, Kansas (Source: Marriage certificate Independence, Montgomery County, Kansas.). She was born August 04, 1869 in Warren County, Indiana (Source: Article written by Thomas McMullen, grandson of Ellenore Marlow Holtzclaw. ), and died December 06, 1951 in Cody, Wyoming (Source: Article written by Thomas McMullen, grandson of Ellenore Marlow Holtzclaw.). Last rites, in cowboy order, were held today for John Thomas McMullin, 67, who died early Sunday morning at Holy Cross Hospital after a few days illness. The funeral procession formed at Burrh Camp and proceeded to Sierra Vista Cemetery with a group of horsemen accompanying the hearse. "Mac's" favorite horse was led behind the funeral coach with three horsemen leading the procession and with about 15 horsemen following. At the cemetery Doughbelly Price, an old firend of Mac, delivered the last words for the old cowpuncher while seated on his horse. Pall bearers were Walter Witt, Malaquias Martinez, Pete Barela, J.T. Mackie, Bert Baca and Mike Cunico. Mac came to this section of the country from the Oklahoma Territory and then to Taos in about 1920. In the early days in Oklahoma he was knows as "Curley John" and was at one time a close friend of the late Belle Starr. He came to this section as a government trapper. For several years prior to his death he lived on his place where the Vegas highway crosses Pot Creek. He had many friends in all walks of life, and will be remembered by all for his cheery disposition and clean appearance and his kindness to others. His relatives, if any, could not be contacted. He was reported to have a son but his whereabouts is unknown. i. ROMEO4 MCMULLIN, b. July 19, 1892 (Source: Article written by Thomas McMullen, grandson of Ellenore Marlow Holtzclaw.). ii. BYRON MCMULLIN, b. November 16, 1893 (Source: Marker in El Cado cemetery, Chautauqua County, Kansas. ); d. April 25, 1899 (Source: Marker in El Cado cemetery, Chautauqua County, Kansas.). 4. LUCY J.3 MCMULLIN (CELESTIA RUBY2 HOWARD, DAVID1) (Source: Headstone in Rhea Cemetery, Rhea, Arkansas.) was born February 07, 1874 in Pilot Point, Texas (Source: Birth certificate of Earl Rhea, son. ), and died April 22, 1911 in Rhea's Mill, Arkansas. She married WALKER C. RHEA (Source: McIlroy Papers-Univ. of AR, and death certificate.) October 07, 1893 in Rhea's Mill, Arkansas, son of WILLIAM RHEA and ELIZABETH POWELL. He was born October 30, 1871 in Rhea's Mill, AR (Source: McIlroy Papers-Univ. of AR, and death certificate. ), and died June 22, 1959 in Orange, California. 1. Birth and death dates from "History of the Rhea Cummunity". 1. Birth and death dates from death certificate. 2. Walker's ashes are at Fairhaven Cemetary, Santa Ana, CA. i. WILLIAM B.4 RHEA, b. August 12, 1894, Rhea's Mill, AR; d. November 14, 1906, Rhea's Mill, AR. 1. From Washington County, AR 1900 Census, Rhea's Mill Township. Film # 1,240,079. 2. Birth and death info from "History of Rhea Community" Pg.161. ii. SAMUEL VINCENT RHEA, b. March 25, 1897, Rhea's Mill, Arkansas (Source: Death Certificate. ); d. May 05, 1935, La Habra, CA (Source: Death Certificate. ); m. (1) GERTIE MAY FRAZIER (Source: History of the Rhea Community by Dorothy Johnson., 160. ), April 27, 1919, Washington County, Arkansas (Source: Copy of marriage license from Floyd Rhea. ); b. May 09, 1896, Arkansas (Source: Marker in Rhea Cemetery, Rhea, AR. ); d. April 27, 1924, Westville, Adair County, Oklahoma (Source: Death Certificate. ); m. (2) MARY LOU TRAMMELL, September 07, 1925, Washington County, Arkansas (Source: Washington County, Arkansas marriages Book U., P. 93.). 1. From Washington County, Ar 1900 Census Rhea's Mill township. Film# 1,240,079. 2. Exact birth and death dates from death certificate. 1.Birth and death info from "History of the Rhea Community". News of the sudden death of Mrs. S.V. Rhea of Rhea's Mill this morning has been received here. Details of the death were lacking however. Mrs. Rhea, who was 27 years old, was stricken this morning. Whe was rushed to Westville but passed away before arriving there. Funeral arrangements have not yet been announced. Surviving are the father, C.E. Frazier of Rhea; three sisters, Mrs. H.E. Brown and the Misses Cleo and Sarah Frazier of Rhea; and five brothers, W.A. Frazier, Pawhuska, Okla; Marvin Frazier, Prairie Grove; P.E. Frazier, Oolaagaw, Okla; and Pasley and Elmo of Rhea. R.A. Barnes of the Farmer's State Bank at Prairie Grove was a uncle and Harris Tilley, candidate for county clerk, was a first cousin. 1. Wife of Samuel Vincent Rhea from death certificate. iii. EARL RHEA, b. February 09, 1900, Rhea's Mill, Arkansas; d. March 07, 1942, Placentia, California (Source: Death Certificate. ); m. (1) CLEO HANKS, September 09, 1919, Washington County, Arkansas (Source: Washington County, Arkansas marriages Book R., P. 544. ); b. April 12, 1901, Prairie Grove, Washington County, Arkansas (Source: SSN application. ); d. May 1987, Lower Lake, CA; m. (2) LILLIAN IRENE HARGROVE, Unknown, ? ; b. November 02, 1902, Lincoln, Arkansas (Source: Death Certificate. ); d. November 12, 1985, Modesto, California (Source: Death Certificate.). C.H. Allen - Cleo Hanks Allen, 87, of Lower Lake, died May 8, 1987 in Lower Lake. She was born April 12, 1900 in Lincoln, Ark. Mrs. Allen resided in Bellflower prior to moving to Lake County 16 years ago. She was a homemaker her adult life. She is survived by her husband, William Harris Allen, son James Allen and a daughter Patsy Diener, all of Lower Lake; nine grandchildren; 11 great-grandchildren; and four great-great grandchildren. Private family services were held. She will be cremated and her ashes scattered at sea. Arrangements are by Jones and Lewis Clear Lake Memorial Chapel, Lower Lake. iv. NELL RHEA, b. September 09, 1902, Rhea's Mill, AR; m. OSCAR SULLIVAN JETT (Source: Jett family Bible, Washington County Historical Society. ), May 27, 1920, Mt. Vernon, Lawrence County, MO (Source: Jett family Bible, Washington County Historical Society. ); b. November 17, 1900, Arkansas (Source: Death Certificate. ); d. March 11, 2000, San Bernardino, CA (Source: Death Certificate.). v. JAMES RHEA, b. November 07, 1906; m. FRANCES PASCHAL (Source: Harold King. ), February 01, 1925, Washington County, Arkansas (Source: Washington County, Arkansas marriages BookT., P. 597.). vi. MARY FRANCES RHEA (Source: Harold King. ), b. July 18, 1909, Rhea's Mill, AR; d. April 20, 1980, Downey, CA; m. NOEL KING (Source: Harold King. ), December 21, 1924; b. October 27, 1906, Lincoln, AR; d. June 24, 1972, Bell, CA. 1. Mary Frances Rhea was raised by her Aunt Sally. 43 ii. John HOWARD, born 1843 in Pennsylvania. 44 iii. Francis HOWARD, born 1844 in Pennsylvania. 45 iv. Alice A. HOWARD, born May 05, 1847 in Pennsylvania; died September 12, 1871 in Caney, Montgomery, Kansas. She married unknown Wilson. + 46 v. Robert Alexander (Bob) HOWARD, born August 25, 1853 in Wisconsin, 1900 census; died February 24, 1936 in State Institute, Osawatomie, Miami, Kansas. + 47 vi. Curtis Marion HOWARD, born October 26, 1855 in Minnesota; died December 22, 1886 in Caney, Montgomery, Kansas. + 48 vii. Cyndarilla (?) (Smaorrilla (?) C.M. HOWARD, born July 18, 1856 in Minnesota; died September 12, 1881 in Caney, Montgomery, Kansas. 16. Calista Caroline (Cecilia)3 Howard (Alexander2, Thomas1) was born October 30, 1808, and died March 01, 1838 in Pike Township, Fulton Co., Ohio. She married Valentine Winslow November 16, 1824 in Waterville, Wood Co., Ohio. He was born March 31, 1804 in Lewis or, Otsego Co., New York, and died March 19, 1857 in Pike Twp., Fulton Co., Ohio. 49 i. Calista4 Winslow, born Abt. 1838. 17. Alexander P. Jr.3 HOWARD (Alexander2, Thomas1) was born Abt. 1810 in New York. He married Rebecca DRAPER September 11, 1834 in Wood County, Ohio. She was born Abt. 1816. 50 i. UNKNOWN4 HOWARD, born Abt. 1835 in Wood County, Ohio. 51 ii. UNKNOWN HOWARD, born Abt. 1837 in Wood County, Ohio. 52 iii. UNKNOWN HOWARD, born Abt. 1839 in Wood County, Ohio. 53 iv. UNKNOWN HOWARD, born Abt. 1840 in Wood County, Ohio. 18. Dresden Winfield Huston3 Howard (Edward2, Thomas1) was born November 03, 1817 in Dresden Yates Co. New York, and died November 09, 1897 in Fulton Co. OH. He married Mary Blackwood Copeland December 02, 1843 in Monroe, MI, daughter of William Copeland and Hannah Sterrett. She was born May 04, 1824 in Seneca Co. NY, and died January 30, 1915 in Winameg, Fulton Co. OH. It was fitting that a man brought up from the pioneer's log cabin and the Indian's wigwam to be a leader and legislator of a great state should die in a farm home on the site of an Indian village. Col. Dresden Winfield Huston Howard died at his home, at Winameg on Tuesday morning, Nov. 9, 1897, just past 80yrs. of age, after a life of activity and usefulness such as few men live. From early childhood he had been actively identified with the development of this state, from the time when as a boy he advanced the early trading with the Indians to when even in advanced years he aided in the direction of state affairs and institutions. The death of Col. Howard had been long expected, as he had suffered from a cancer on his lower lip for more that two years and lately it was known that the end was close at hand. The funeral was set from the home at Winameg, the Reverend J. W. Lully of Hicksville to conduct services. General J. Kent Hamilton of Toledo was invited to deliver the funeral oration at the tomb in compliance with a request made by Col. Howard before his death. The body was placed in a vault which he had constructed in the cemetery at Winameg. H. T. Brigham and Col. E. L. Barber of Wauseon were among the pall bearers. Col. Howard was born in Dresden Yates Co. New York on Nov 3, 1817. 690 -692 HISTORY OF TOLEDO AND LUCAS COUNTY. DRESDEN W. H. HOWARD was born in Yates County, New York, November 3, 1817. He wits a son of Edward, his grandfather being Thomas Howard. May 22, 1821, the grandfather, with his sons Edward, Robert A. and Richard, their wives and two children (Dresden and a cousin named Sidney), and a daughter of Sidney H. Nelson, left their pleasant homes on the banks of Seneca, Lake, near Geneva, for the West. The grandfather rode on horseback, the families and small supplies of clothing and household goods being loaded into two two-horse covered wagons. In due time, over roads almost impassable, the party reached the then Village of Buffalo. Here, the grandfather, with the women and children, embarked on board a 30-ton Schooner (name not remembered), commanded by Captain Anson Reed, for along and perilous voyage to Fort Meigs, 14 miles above the mouth of the Maumee River. This destination was reached at dusk, Tune 17th, after a trip of 26 days, where they were cordially welcomed by the few white settlers at" Orleans," the little hamlet under the Fort. Dresden's recollection of the scene that met his view on entering the mouth of the River, about 10 o'clock A. M., is yet very clear to him. The dark color of the water of the River was in strong contrast with that of the clear water of the Lake. The scene of chief interest as they slowly passed up the stream, consisted of the white tents of Indians camped on the West bank, from the house of Major Stickney (near Bush Street), to the mouth of Swan Creek-the Indians being there on business with Major Stickney, then Indian Agent for the Government. They were actively engaged in racing and other sports peculiar to Indians; but upon discovering the little Vessel, they gave one wild (to the passengers, unearthly) yell, and ran down the bank, to get as near as possible to the craft. While the boy was deeply interested in the scene, the `,women were crouched in deadly fear on the deck at such first view of the locality which was to be their home. The Vessel made slow progress up the River, with nothing to be seen but the primeval forest which lined its banks, and a deer and her fawn which had Sought protection in the water front swarms of musquitoes, or from some hungry wolf. In due time, the end of the journey was reached. The teams were many days behind the arrival of the Vessel, they having in bad roads-especially through the "Black Swamp "more to overcome than the calms and adverse winds of the Lake. The real destination of the party was Tecumseh, or An-au-ba (now known as Ann Arbor), Michigan ; but the persuasions of the Hollisters, Spaffords, Forsyths, General Hunt and other residents induced them to stop, when they soon were quartered in little cabins of bark-covered walls. Some cleared land was rented, and a small crop of corn, potatoes, pumpkins, squashes, etc., soon planted. With " dog days " came .ague and fever, attended by want and privation known to none but the pioneer. Several times the entire family was prostrated, with no one able to attend upon the sick. The frosts of' October were patiently awaited is the only source of relief' to the sufferers; which season was made the more grateful for the abundant supply of fish and corn "pone," which it brought. The grandfather had little means with which to start in the new home. He first entered 160 acres of Government lands, where now is the Village of Woodville, Sandusky County ; but the Black Swamp proved too much for him, and he abandoned his purchase, subsequently selling it to Amos E. Wood, the founder of Woodville. In 1822, lands were purchased at Grand Rapids, Wood County, when cabins were built for Edward, Robert A. and Richard Howard ; and in the Spring of 1823 they cut a road front the Indian Mission, eight miles below, through a dense wilderness to the Grand Rapids of the Maumee, and founded a settlement immediately opposite the Ottawa Indian Village of Kin jo-ino and Reservation of 12 miles square, at the head of the Rapids. All of the families, with the grandfather, lived upon their original purchases, cleared away the forests, and made for themselves comfortable homes (save Robert A., who sold his place in 183(;, and moved to what now is Fulton County, where he died), and in due time were "gathered to their fathers," their bodies resting on the banks of the Maumee, within hearing of the never-ceasing murmur of the Rapids. was a Soldier in the War of 1812-15, as was Thomas in the Revolutionary War. The former was at the battles of Lundy's Lane and Fort Erie. He was never robust after the War, and died in 1841. The mother (Nancy Haight Howard) survived him until 1881, dying at the age of 84 years, and being buried beside her husband. The children were Dresden; one brother, James Monroe, born in Yates County, New York; and one sister (Anjinette), born in Wood County. James died in 1841 ; and the sister is the wife of Hon. George Laskey, of Toledo. Coming here in childhood, with Indian boys for playmates, Dresden learned the languages of the several tribes in the Valley, and became more or less attached to Indian life. His inclinations early turned toward Indian trade and the hunter's life. The fur trade with the tribes was then a lucrative business, and his readiness with their dialects made his services in demand by traders, who paid well for them. With others, he was employed by Government Agents in collecting the wandering bands for removal to their new homes beyond the Mississippi in 1832, and again in 1838. In 1832 he aided the removal, when they were transported across the country by wagons and on the backs of their ponies. For a boy, the trip was attractive. Scarcely any settlement was passed for the whole distance. The Indians were located on the banks of the Osage River (now in Kansas), where is the Town of Ottawa, named for the tribe. In 1840, Mr. Howard was employed by W. G. and Geo. W. Ewing, fur traders at Fort Wayne, Indiana, to take a stock of Indian goods up the Missouri River, and open trade with the Omahas, Missouries, lower Sioux, Pottawatomies and other tribes inhabiting the Valley and tributaries of that stream. His father and brother dying in 1841, made it necessary for him to return and care for an invalid mother and his sister, and accept the more quiet life of farming and civilization, for which his previous experience had done little toward fitting him. His school days (from seven to 10 years) were entirely spent at the " Old Indian Mission," 10 miles above Fort Meigs, in a School of 100 Indian children-he being the only White pupil, save a few Indian and French halfbreed boys and girls. That School was organized by the Home Missionary Society of New England, and was closed upon the removal of the Indians in 1838. The tribes inhabiting the Valley of the Maumee, and also that of the Wabash and their tributaries, at the time of Mr. Howard's earliest recollections (and for many years before), were the Ottawas, Pottawatomies, Miamis, We-aws, Piankishaws, Shawnees and Delawares, with a few of the Ochibewas and Muncies. The principal Chiefs of the Ottawas were Na-wash, O-to-saw, Char-lo, Oc-que-noxie, Kin-jo-a-no, Ot-to-kee, Wa-se-on, Wa-seon-i-quet, and others. Of the Pottawatomies, were Waw-bon-see, Baw-beece, Me-to-ah, Wina-meg; of the Miamis, La Fontain and Richardville, with many others, whose names are not recalled ; of Shawnees, were Joseph and William Parks, whose Reservation was at Wapa-kon-neta. The Walkers (half-breeds) were principal men among the Wyandotts at Upper Sandusky. Turkey Foot (Mis-sis-sa-inzit), was a noted Ottawa Chief, as was O-to-saw. Little Turtle (Mis-she-kenee) perhaps was the most noted, as he was the most intelligent Chief of the Miamis, whom, Mr. Howard thinks, lies buried near Fort Wayne, Indiana. Turkey Foot was buried near the rock from which he harangued his Braves when he fell, pierced with a bullet from one of Wayne's Soldiers, August 20, 1794. Mr. Howard's memory is stored with facts and associations connected with the aboriginal tribes with whom he was so long intimate. When asked by Governor Noyes, of Ohio, why he always spoke with such special kindness of the Indians, he replied, " They have always, in childhood and in manhood, treated me with kindness, and I could not be ungrateful for their uniform generosity. Treat an Indian justly, and you will secure his friendship for life. Treat him illy, and you have his enmity for life." Mr. Howard's present residence is on the site of the old Indian Village of Winameg, Fulton County, where the former residents so long enjoyed savage life, and where so many of them found their last resting place, which is now carefully protected. The Red Man has taken his last drink frona the shaded spring at the foot of the hill, his last look upon the landscape so long his pride, and now sleeps nearer the setting Sun. In the Spring of 1827-28, Mr. Howard-then a boy of 10 years-first visited that locality, and there ate his first bowl of hominy and roast of venison, and tools his first drink from the pure waters of the spring. The Indians had just returned from their Winter hunting-grounds in the pine and sugar-maple forest of the then wild Terriritory, now the fertile and rich State of Michigan, where they had enjoyed a successful hunt; bringing in a bountiful supply of Maple sugar (of which they were fond). They were having their annual dance or worship of the Great Spirit (Chi Manitoo), returning thanks for success in the hunt, and asking for a prosperous season to come. For the Summer, the women were to plant and hoe, while the men, beside lounging about, were to look for an occasional door. Corn, beans and pumpkins are still planted there; but not by the faithful, patient squaws of former days. Mr. Howard, with all his early attachment for the primitive ways of the Indians, has not been backward in promoting, the methods and means of Christian civilization. For forty years past he has been identified, to greater or less extent with the agricultural, the financial, the political, and the social movements of the age, seeking faithfully to meet his full duty in these several relations of life. In promoting the construction of good roads, elevating the farming interests, and the establishment of sound morals and general education, he has been active. In 1870 he represented the Tenth District on the State Board of Equalization. Elected to the State Senate in 1871 frona the Thirty-Third District, he served in that body for two years. In 1860 he was Presidential Elector, casting the vote of the Fifth Congressional District for Abraham Lincoln. Of all his record in connection with elections, that which gives him his chief pride, was made in the fight for the exclusion of the sale of intoxicating liquors at Wauseon, in April, 1887. He was appointed by Governor Foraker, April 1, 1887, a Trustee of the Toledo Asylum for the Insane, constructed for the State, near Toledo. Mr. Howard was married in 1843 with Mary B. Copeland. There were born to them two children-Osceola E. M., Civil Engineer, of San Diego, California ; and M. Agnes, now residing with her parents at Wauseon, Ohio. Hon. DRESDEN W. H. HOWARD was born in Dresden, New York, November 4, 1818, married in Monroe, Michigan, in December, 1843, came to Ohio in 1821, and settled in Fulton County in 1852. He was a member of the board of equalization for real estate in the State of Ohio in 1870 and State Senator of Ohio in 1871, and Presidential elector in 1860-1. Mr. Howard has two daughters, Osceola E. M., born April 12, 1845, and Mary Agnes, born February 17, 1861. Edward Howard, father of the above, was born in Pennsylvania November 10, 1787, and died in Grand Rapids, Wood County, February 2, 1841. He was a soldier in the war of 1812. Nancy (Haight) Howard, mother of the above, was born in New York, February 5, 1789. Mrs. Mary Howard is a daughter of William and Hannah Copeland, natives of Ireland, both of whom are deceased. She was born in Seneca County, New York, May 4, 1824. Thomas Howard, grandfather of D. W. H., was a soldier in the Revolutionary war. Post-office, Wauseon. Business, farmer. There were five such outlets along Ohio?s lake frontage. These were Toledo, Sandusky, Cleveland, Fairport Harbor (near Painsville), and Ashtabula Harbor. Toledo and fifty miles beyond it Detroit, were the shipping points for perhaps the oldest section of the Road in Ohio, though by no means the longest lived. a plain trail north to Malden, Canada.? I want to tell here an incident which Col. Howard relates, by way of illustrating the methods used, the obstacles overcome, and the presence of mind needed by Underground Railroaders, from the beginning to the close of the Road?s activity. Mr. Howard?s story runs mainly as follows: Ten miles below the Rapids at Roche Teboult or Standing Rock, lived one Richardson, a Kentuckian, who made a living by catching slaves. At one time my father, Edward Howard, was piloting a party of slaves north, and the trail passed only three miles west of Richardson?s. In order to avoid being surprised by this man it was necessary to keep a close lookout; and for greater safety the trip north from my father?s was always performed in the night. We had a whisper from an Indian friend that this party, which we had kept concealed in the thick swampy forest near our cabin for some time, was being watched and would be ambushed on the way. The night they moved out on the trail, we (I was but a boy, but often accompanied my father) took a circuitous route, hoping to elude pursuit. After veering to our right and reentering the old trail, my father left a boy to guard and bring up the rear. We had not advanced more than three miles, when we plainly heard the beat of horses? hoofs behind us; the guard was posted near the trail, with orders to shoot the horse, if necessary; in a few minutes two horsemen approached the ambuscade and in a second more, the sharp crack of a rifle echoed through the forest, and the horse with a groan plunged to the ground. This checked the pursuing party, and gave stimulus and speed to the feet of the fugitives. The slave-catchers were now afraid to advance, and retreated over the trail, and the fugitives, though badly frightened, were permitted to continue their march to freedom unmolested. R7 all in Lucan County, OH; Edward Howard, deceased late of Wood county. March 29, 1844 - John WEBB, et al. executor of A. RICE, deceased vs. A. + 54 i. Osceola E. M.4 Howard, born April 22, 1845 in Fulton Co. OH; died 1933. + 55 ii. Mary Agnes Howard, born February 17, 1861 in Fulton Co. OH; died April 27, 1956 in Fulton Co. OH. 21. Governeur Howard3 Nelson (Sidney2 Howard, Thomas1) was born 1819, and died July 1864 in San Antonio, TX. He married Malvina Aloise Elder. She was born October 26, 1831 in Bardstown, KY, and died October 14, 1887 in San Antonio, Bexar, TX,. + 56 i. Thomas Christostom4 Nelson, born February 27, 1853 in San Antonio, Bexar, TX; died February 12, 1926 in San Antonio, Bexar, TX. 57 ii. Helen Sidney Nelson, born August 08, 1854 in San Antonio, Bexar, TX; died August 28, 1878. 58 iii. Felix Edward Nelson, born May 15, 1856 in San Antonio, Bexar, TX; died April 14, 1914 in Boerne, TX. 59 iv. Robert Elder Nelson, born October 28, 1858 in San Antonio, Bexar, TX; died February 19, 1925 in San Antonio, Bexar, TX. 30. James W.3 Howard (Robert Armstrong2, Thomas1) was born October 06, 1837, and died October 30, 1896. He married Margaret A. Rings. She was born April 10, 1838, and died May 04, 1896. 60 i. Adaline A.4 Howard, born August 08, 1860 in Pike Twp, Fulton Co. OH; died June 14, 1934 in Wauseon, OH. 61 ii. Anna Priscilla Howard, born January 30, 1862; died July 28, 1863. 62 iii. Mary Ann Howard, born September 12, 1863; died January 12, 1866. 63 iv. Fanny Fern Howard, born April 17, 1865; died October 04, 1872. + 64 v. George W. Howard, born 1867; died 1951. + 65 vi. Robert Nelson Howard, born July 03, 1869; died December 21, 1928. 41. Nancy Jane4 HOWARD (John3, Alexander2, Thomas1) was born April 22, 1836 in Hancock Co., Ohio. She married Joseph ARCHER December 20, 1853 in or 24 DEC 1855, Huron ?, Hancock Co., Ohio. He was born April 03, 1827 in Richland Co., Ohio. 66 i. James D.5 ARCHER. 67 ii. John B. ARCHER. 46. Robert Alexander (Bob)4 HOWARD (David Alexander (H.? )3, Alexander2, Thomas1) was born August 25, 1853 in Wisconsin, 1900 census, and died February 24, 1936 in State Institute, Osawatomie, Miami, Kansas. He married Emaline Martha (Em) CAVIN September 10, 1870 in Prairie City, Grant Co., Oregon. She was born December 30, 1855 in Cane Hill, Washington Co., Arkansas, and died February 08, 1935 in Caney, Montgomery, Kansas. 68 i. Infant #15 HOWARD, born Abt. 1872 in Oregon; died Abt. 1872 in Oregon. 69 ii. Infant #2 HOWARD, born Abt. 1874 in Oregon; died Abt. 1874 in Oregon. 70 iii. William David (Bill) HOWARD, born May 05, 1876 in Caney, Montgomery, Kansas; died May 12, 1951 in Caney, Montgomery, Kansas. + 71 iv. Curtis Earl (Bud) HOWARD, born March 28, 1878 in Caney, Montgomery, Kansas; died February 08, 1948 in Caney, Montgomery, Kansas. 72 v. Robert Manley (Bob) HOWARD, born April 02, 1882 in Brownsville, Cameron, Texas; died October 10, 1966 in Caney, Montgomery, Kansas. 73 vi. Mary Etta HOWARD, born November 21, 1885 in Caney, Montgomery, Kansas; died October 29, 1886 in Caney, Montgomery, Kansas. 74 vii. Gertrude HOWARD, born November 30, 1887 in Caney, Montgomery, Kansas; died February 01, 1964 in Caney, Montgomery, Kansas. She married Edward Heman (Edwin) SMITH; born November 30, 1887; died October 30, 1954 in Caney, Montgomery, Kansas. 75 viii. Ople HOWARD, born February 11, 1889 in Caney, Montgomery, Kansas; died December 06, 1898 in Caney, Montgomery, Kansas. 76 ix. Artie HOWARD, born 1896 in Caney, Montgomery, Kansas; died December 24, 1899 in Chautauqua Co., Kansas. 47. Curtis Marion4 HOWARD (David Alexander (H.? )3, Alexander2, Thomas1) was born October 26, 1855 in Minnesota, and died December 22, 1886 in Caney, Montgomery, Kansas. He married May (Mary ) A. TAYLOR October 27, 1879 in Caney, Montgomery, Kansas. She was born September 16, 1860 in Texas (1910C), Arkansas, and died Aft. 1910 in Wichita, Sedgwick, Kansas. + 77 i. Frank David5 HOWARD, born August 04, 1880 in Cherryvale, Montgomery, Kansas; died April 16, 1943 in Hillcrest Hosp., Tulsa, Tulsa, Oklahoma. 78 ii. Maud B. HOWARD, born March 06, 1882. 79 iii. Mary M. HOWARD, born May 20, 1885 in Indian Territory. 80 iv. Curtis Marion HOWARD, born January 27, 1887 in Caney, Montgomery, Kansas; died February 08, 1888 in Caney, Montgomery, Kansas. 48. Cyndarilla (?) (Smaorrilla (?) C.M.4 HOWARD (David Alexander (H.? )3, Alexander2, Thomas1) was born July 18, 1856 in Minnesota, and died September 12, 1881 in Caney, Montgomery, Kansas. She married M. R. LAKIN Abt. 1877 in Caney, Montgomery, Kansas. He was born 1856 in Iowa. 81 i. Ruby C.5 LAKIN, born 1878 in Caney, Montgomery, Kansas. 82 ii. John A. LAKIN, born September 1879 in Caney, Montgomery, Kansas. 83 iii. A. F. "Johnie" LAKIN, born September 19, 1880 in Caney, Montgomery, Kansas; died December 02, 1882 in Caney, Montgomery, Kansas. 54. Osceola E. M.4 Howard (Dresden Winfield Huston3, Edward2, Thomas1) was born April 22, 1845 in Fulton Co. OH, and died 1933. He married Emma Jane ???. She was born Abt. 1856 in Utah. 84 i. Mayce5 Howard, born Abt. 1878 in CA. 55. Mary Agnes4 Howard (Dresden Winfield Huston3, Edward2, Thomas1) was born February 17, 1861 in Fulton Co. OH, and died April 27, 1956 in Fulton Co. OH. She married William Bryon McClarren April 27, 1893 in Winameg, OH, son of William McClarren and Rebecca Alwood. He was born August 1862 in Fulton Co. OH, and died November 25, 1934 in Fulton Co. OH. + 85 i. Dresden William Howard5 McClarren, born May 05, 1895. 86 ii. Mary Agnes McClarren, born 1896. 87 iii. Mary Rebecca McClarren, born May 07, 1897; died November 19, 1979. She married William (Will )French Bruce December 05, 1917 in Fulton Co. OH; born 1887; died 1964. + 88 iv. Lowell Robert McClarren, born February 07, 1898. 89 v. Richard Monroe McClarren, born December 03, 1900; died April 1981. He married Ruth E Herron. + 90 vi. Bruce K. McClarren, born September 30, 1904; died August 17, 2002. 56. Thomas Christostom4 Nelson (Governeur Howard3, Sidney2 Howard, Thomas1) was born February 27, 1853 in San Antonio, Bexar, TX, and died February 12, 1926 in San Antonio, Bexar, TX. He married (1) Gregoria Villareal Abt. 1882. She was born June 27, 1867 in San Antonio, Bexar, TX, and died October 1883 in San Antonio, Bexar, TX. He married (2) Celia Villareal August 01, 1885 in San Antonio, Bexar, TX. She was born April 20, 1870 in San Antonio, Bexar, TX, and died June 20, 1948 in San Antonio, Bexar, TX. 91 i. Gouverneur Howard5 Nelson, born April 28, 1883. 64. George W.4 Howard (James W.3, Robert Armstrong2, Thomas1) was born 1867, and died 1951. He married Sarah A. Shoemaker September 27, 1891 in Fulton Co. OH, daughter of Joseph Shoemaker and Dorothy ???. She was born 1870, and died 1943. 92 i. Gladys5 Howard, born August 09, 1893; died September 25, 1893. 93 ii. Baby Howard, born April 22, 1896; died April 23, 1896. 94 iii. Walter H. Howard, born 1892; died May 30, 1934. 65. Robert Nelson4 Howard (James W.3, Robert Armstrong2, Thomas1) was born July 03, 1869, and died December 21, 1928. He married Ada L. Shaffer December 04, 1895 in Fulton Co. OH, daughter of Aurelius Shaffer and Ida Dunbar. She was born August 30, 1877, and died November 04, 1957. 97 i. Clyde5 Howard. He married Audrey Sommers; died October 2000. 98 ii. Baby Howard, born March 21, 1897; died 1897. + 99 iii. Ralph Aurelius Howard, born March 12, 1898 in Pike Township, Fulton Co., Ohio; died June 21, 1983 in Mansfield, Richland Co., Ohio. 100 iv. Waldo Howard, born September 17, 1900; died September 23, 1900. 101 v. Charles Howard, born February 23, 1912; died February 28, 1912. + 102 vi. Robert (Ted) Corwin Howard, born Abt. 1906; died October 20, 1966. 103 vii. Ethel Howard. She married unknown Rush. 71. Curtis Earl (Bud)5 HOWARD (Robert Alexander (Bob)4, David Alexander (H.? )3, Alexander2, Thomas1) was born March 28, 1878 in Caney, Montgomery, Kansas, and died February 08, 1948 in Caney, Montgomery, Kansas. He married (1) Ella HOLTZSLAW Abt. 1904. He married (2) Olive Lillian WAKEFIELD Abt. 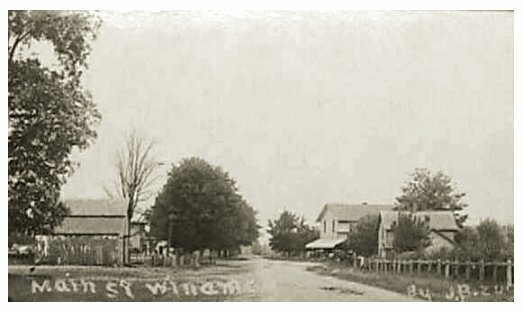 1920 in Caney, Montgomery, Kansas. She was born September 27, 1893 in Caney, Montgomery, Kansas, and died July 08, 1921 in Caney, Montgomery, Kansas. He married (3) Hallie May KASER January 05, 1924 in Court House, Winfield, Cowley, Kansas. She was born November 28, 1904 in Otter Creek, Cedar Vale, Chautauqua, Kansas, and died February 14, 1982 in Resthome, Coffeyville, Montgomery, Kansas. 104 i. Edward E.6 HOWARD, born 1905. 105 i. Jack Curtis6 HOWARD, born June 02, 1921 in 508 N. Fawn St., Caney, Montgomery, Kansas. He married Bonnie Jean RAY August 10, 1947 in Coffeyville, Montgomery, Kansas; born August 12, 1920 in Coffeyville, Montgomery, Kansas. 106 i. Dewey Earl6 HOWARD, born February 01, 1925 in Caney, Montgomery, Kansas; died February 01, 1925 in Caney, Montgomery, Kansas. 107 ii. Dorothy Marie HOWARD, born January 21, 1927 in Caney, Montgomery, Kansas. She married Robert W. URQUHART May 16, 1947 in Caney, Montgomery, Kansas. 108 iii. Emma Maye HOWARD, born January 24, 1929 in Caney, Montgomery, Kansas. She married Leo Eugene DOCKENDORF May 17, 1946 in Caney, Montgomery, Kansas. 109 iv. Billy Glen HOWARD, born April 19, 1931 in Caney, Montgomery, Kansas. He married Leah Flavia DUNN in Caney, Montgomery, Kansas. 110 v. Dola Rose (Toodles) HOWARD, born August 09, 1933 in Caney, Montgomery, Kansas. She married Charles HOWARD CRESS June 09, 1979 in Ft. Scott, Bourbon, Kansas. 111 vi. Mary Ann HOWARD, born September 03, 1937 in Caney, Montgomery, Kansas. She married Earl THOMPSON. 112 vii. David Lee HOWARD, born August 02, 1944 in Caney, Montgomery, Kansas. He married Donna BARRETT in Caney, Montgomery, Kansas. 77. Frank David5 HOWARD (Curtis Marion4, David Alexander (H.? )3, Alexander2, Thomas1) was born August 04, 1880 in Cherryvale, Montgomery, Kansas, and died April 16, 1943 in Hillcrest Hosp., Tulsa, Tulsa, Oklahoma. He married Clara Anreka BOWMAN February 02, 1906 in TulsatradingPost, Indian Territory, (now Muskogee), (Okla.). She was born January 31, 1881 in Cameron, DeKalb, Missouri, and died August 19, 1968 in Rest Home, Yukon, Canadian, Oklahoma. + 113 i. Anna Mae6 HOWARD, born November 22, 1906 in Osage Nation, Indian Territory, (Oklahoma). + 114 ii. Leo BOWMAN HOWARD, born December 17, 1908 in Barnsdall, Osage, Oklahoma; died May 30, 1991 in Mercy Hospital, Oklahoma City, Oklahoma. + 115 iii. Calvin Curtis HOWARD, born December 08, 1910 in Barnsdall, Osage, Oklahoma; died May 03, 1981 in Alameda, Alameda, California. 116 iv. Frank David HOWARD, born June 07, 1914 in Tulsa, Tulsa, Oklahoma; died 1914 in Tulsa, Tulsa, Oklahoma. + 117 v. Ercell HOBART HANEY HOWARD, born June 06, 1915 in Barnsdall, Tulsa, Oklahoma; died October 12, 1998 in 3820 S. Union, Tulsa, Tulsa, Oklahoma. + 118 vi. Covell TAYLOR "Nut" HOWARD, born February 20, 1920 in Tulsa, Tulsa, Oklahoma; died October 15, 1997 in Baptist Hospital, Oklahoma City, Oklahoma, Oklahoma. + 119 vii. Alta Lou HOWARD, born January 30, 1924 in Tulsa, Tulsa, Oklahoma; died June 26, 1969 in Denver, Denver, Colorado. 85. Dresden William Howard5 McClarren (Mary Agnes4 Howard, Dresden Winfield Huston3, Edward2, Thomas1) was born May 05, 1895. He married Norma Leona Whiteman December 25, 1919, daughter of Herbert Whiteman and Margaret Bonnell. She was born October 20, 1895. Norma Leona Whiteman, eldest daughter of Herbert Lincoln Whiteman and his wife, Margaret Estella Bonnell Whiteman, was born on October 20, 1895, in the Whiteman farm home at Bonnell's Corners. She attended the one-room Bonnell School and in 1910 took and passed with high marks the Patterson-Boxwell Examination then required in Ohio for all pupils entering a first-grade high school. She attended the Wauseon High School for four years, graduating in the Class of 1914. She later taught at the Williams School east of Wauseon. But this was First World War time and she decided to take nurses training. For her training she selected the Lakeside Hospital Nurses Training School in Cleveland (now the Western Reserve School of Nursing), where she graduated in June, 1919. Subsequently, she passed the State Board Examination and became a registered nurse in the State of Ohio. On December 25, 1919, she married Howard McClarren, great-grandson of Col. Dresden William Howard (friend of the Indians and the second white child to attend mission school at Grand Rapids, Ohio, where he played and learned the language of the Indian boys). After her marriage Norma lived for a brief time on the McClarrenHoward farm near Winameg, in Fulton County. Later, she lived in the Columbus-Westerville area where her husband graduated at Ohio State University, School of Agriculture, and later was identified with the program of Vocational Agriculture in Ohio. In the early 1940's they moved to Washington, D.C. There Norma practiced professionally, first with Dr. H. Ford Anderson and later with Dr. Ernest Sheppard while Mr. McClarren continued work in his field. In 1962 they retired to the Westerville-Columbus area, where Norma died on July 26, 1974. She left surviving a son, Robert R. McClarren, who married Margaret Weed of Westerville, Ohio. In World War II, he served in Europe with the 14th Armored Division, and later, as a Reserve officer, served in the Korean War. He holds a Master's degree in library science from Columbia University and is presently an assistant state librarian in the State of Illinois. Norma also left surviving a daughter, Margaret Ann McClarren White, who is a graduate of the Johns Hopkins School of Nursing and is married to Dr. A. Wayne White of Houston, Texas. + 120 i. Robert Royce6 McClarren, born March 15, 1921 in Delta, OH. 121 ii. Margaret A. McClarren, born Abt. 1925. 88. Lowell Robert5 McClarren (Mary Agnes4 Howard, Dresden Winfield Huston3, Edward2, Thomas1) was born February 07, 1898. He married Laura Tussing. She was born March 02, 1901, and died November 06, 1992. 122 i. Martha6 Mcclarren, born October 12, 1925. 123 ii. Coradele Mcclarren, born Abt. 1927. 90. Bruce K.5 McClarren (Mary Agnes4 Howard, Dresden Winfield Huston3, Edward2, Thomas1) was born September 30, 1904, and died August 17, 2002. He married Catherine M. Evers May 14, 1924 in Fulton Co. OH. She was born 1905, and died December 11, 1987. + 124 i. Lawrence6 McClarren, born 1926. 127 iv. Benson McClarren. He married Julia Tatman. 99. Ralph Aurelius5 Howard (Robert Nelson4, James W.3, Robert Armstrong2, Thomas1) was born March 12, 1898 in Pike Township, Fulton Co., Ohio, and died June 21, 1983 in Mansfield, Richland Co., Ohio. He married Alice E. Knight September 09, 1919 in Wauseon, Fulton, Ohio. She was born May 26, 1896 in Royalton Twnshp, Fulton, Ohio, and died August 04, 1983 in Mt. Gilead, Morrow, Ohio. 128 i. Ralph Aurelius6 Howard, born November 29, 1925 in Wauseon, Fulton, Ohio. He married Carolyn Dawn KEENER March 25, 1948 in Danforth Chapel, Berea, Madison Co., Kentucky; born July 24, 1923 in Cleveland, Cuyahoga, Ohio. 102. Robert (Ted) Corwin5 Howard (Robert Nelson4, James W.3, Robert Armstrong2, Thomas1) was born Abt. 1906, and died October 20, 1966. He married Selma ???. 113. Anna Mae6 HOWARD (Frank David5, Curtis Marion4, David Alexander (H.? )3, Alexander2, Thomas1) was born November 22, 1906 in Osage Nation, Indian Territory, (Oklahoma). She married Isaac ADAMS "Ike" SEARLES May 26, 1933 in Fayetteville, Washington, Arkansas. He was born August 13, 1906 in Liberal, Barton, Missouri, and died August 29, 1987 in St. Mary's Hosp., Rogers, Benton, Arkansas. + 131 i. Mary Ann Rogers7 SEARLES, born November 04, 1934 in Tulsa, Tulsa, Oklahoma. 114. Leo BOWMAN6 HOWARD (Frank David5, Curtis Marion4, David Alexander (H.? )3, Alexander2, Thomas1) was born December 17, 1908 in Barnsdall, Osage, Oklahoma, and died May 30, 1991 in Mercy Hospital, Oklahoma City, Oklahoma. He married Evelyn Beatrice HIGDON December 25, 1933 in 3312 E. 3rd St., Tulsa, Tulsa, Oklahoma. She was born August 05, 1910 in Brookhaven, Lincoln, Mississippi. + 132 i. Beverly Beatrice7 HOWARD, born January 24, 1935 in Tulsa, Tulsa, Oklahoma. 115. Calvin Curtis6 HOWARD (Frank David5, Curtis Marion4, David Alexander (H.? )3, Alexander2, Thomas1) was born December 08, 1910 in Barnsdall, Osage, Oklahoma, and died May 03, 1981 in Alameda, Alameda, California. He married Estelle BIRDWELL September 23, 1933 in Muskogee, Muskogee, Oklahoma. She was born August 02, 1913 in Allen, Pontotoc, Oklahoma, and died July 28, 1996. + 133 i. Frank BIRDWELL7 HOWARD, born July 22, 1934 in Muskogee, Muskogee, Oklahoma. + 134 ii. Curtis Calvin HOWARD, born September 22, 1935 in Muskogee, Muskogee, Oklahoma. + 135 iii. Toby Lee HOWARD, born April 01, 1938 in Tulsa, Tulsa, Oklahoma. + 136 iv. Jack MARTIN HOWARD, born January 26, 1940 in Napa, Napa, California. + 137 v. Patricia HOWARD, born August 23, 1942 in Concord, Contra Costa, California. + 138 vi. Billy John HOWARD, born August 08, 1946 in Oakland, Alameda, California. 139 vii. Samuel Robin Howard, born October 01, 1949 in Oakland, Alameda, California. He married (1) Barbara CLARK in Quincy, Plumas, California. He married (2) Jean Elaine Hinkley June 24, 1984 in Tracy, San Joaquin, California; born November 18, 1954 in Oakland, Alameda, California. 117. Ercell HOBART HANEY6 HOWARD (Frank David5, Curtis Marion4, David Alexander (H.? )3, Alexander2, Thomas1) was born June 06, 1915 in Barnsdall, Tulsa, Oklahoma, and died October 12, 1998 in 3820 S. Union, Tulsa, Tulsa, Oklahoma. He married Effie Leona BUCK October 03, 1937 in Tulsa, Tulsa, Oklahoma. She was born September 22, 1919 in Tulsa, Tulsa, Oklahoma. + 140 i. David Asa7 HOWARD, born November 08, 1938 in Tulsa, Tulsa, Oklahoma. + 141 ii. Dan Allan HOWARD, born May 13, 1941 in Tulsa, Tulsa, Oklahoma. + 142 iii. Sue Ann HOWARD, born October 20, 1944 in Tulsa, Tulsa, Oklahoma. 118. Covell TAYLOR "Nut"6 HOWARD (Frank David5, Curtis Marion4, David Alexander (H.? )3, Alexander2, Thomas1) was born February 20, 1920 in Tulsa, Tulsa, Oklahoma, and died October 15, 1997 in Baptist Hospital, Oklahoma City, Oklahoma, Oklahoma. He married Ruth Pauline HATCHER May 31, 1941 in Tulsa, Tulsa, Oklahoma. She was born April 23, 1919 in Eureka Springs, Carroll, Arkansas. + 143 i. Gary Roger7 HOWARD, born August 10, 1952 in Oklahoma City, Oklahoma, Oklahoma. + 144 ii. Wayne Douglas HOWARD, born September 08, 1954 in Oklahoma City, Oklahoma, Oklahoma. 119. Alta Lou6 HOWARD (Frank David5, Curtis Marion4, David Alexander (H.? )3, Alexander2, Thomas1) was born January 30, 1924 in Tulsa, Tulsa, Oklahoma, and died June 26, 1969 in Denver, Denver, Colorado. She married Glen HABLE 1941 in Boston Ave. Meth, Tulsa, Tulsa, Oklahoma. He was born March 22, 1915, and died May 30, 1971. 145 i. Linda7 HABLE, born August 02, 1951 in Chicago, Cook, Illinois. 120. Robert Royce6 McClarren (Dresden William Howard5, Mary Agnes4 Howard, Dresden Winfield Huston3, Edward2, Thomas1) was born March 15, 1921 in Delta, OH. He married Margaret Aileen Weed. She died October 2001. 146 i. Mark Robert7 McClarren. 124. Lawrence6 McClarren (Bruce K.5, Mary Agnes4 Howard, Dresden Winfield Huston3, Edward2, Thomas1) was born 1926. He married Ilene Crile May 17, 1947, daughter of Claude Crile and Kathryn Gearig. She was born May 17, 1927. + 148 ii. Jared McClarren. + 149 iii. Judd McClarren, born 1955. 131. Mary Ann Rogers7 SEARLES (Anna Mae6 HOWARD, Frank David5, Curtis Marion4, David Alexander (H.? )3, Alexander2, Thomas1) was born November 04, 1934 in Tulsa, Tulsa, Oklahoma. She married Herman Loyd HOPPE August 18, 1956 in St. John's Epis., Norman, Canadian, Oklahoma. He was born July 21, 1933 in Borger, Hutchinson, Texas. + 150 i. Debra Kay8 HOPPE, born November 15, 1957 in Borger, Hutchinson, Texas. + 151 ii. Diane Fay HOPPE, born July 27, 1960 in Odessa, Ector, Texas. 132. Beverly Beatrice7 HOWARD (Leo BOWMAN6, Frank David5, Curtis Marion4, David Alexander (H.? )3, Alexander2, Thomas1) was born January 24, 1935 in Tulsa, Tulsa, Oklahoma. She married Gerald Edward "Jerry" YEAGER December 28, 1956 in Tulsa, Tulsa, Oklahoma. He was born June 11, 1934 in Dallas, Dallas, Texas. + 152 i. Edward Leo "Eddie"8 YEAGER, born April 22, 1963 in Tulsa, Tulsa, Oklahoma. 153 ii. Karen Millee YEAGER, born January 01, 1967 in Tulsa, Tulsa, Oklahoma. 133. Frank BIRDWELL7 HOWARD (Calvin Curtis6, Frank David5, Curtis Marion4, David Alexander (H.? )3, Alexander2, Thomas1) was born July 22, 1934 in Muskogee, Muskogee, Oklahoma. He married Arlene EYTEL June 1960 in Oakland, Alameda, California. She was born June 10, 1940 in Oakland, Alameda, California. 154 i. Catherine Ann8 HOWARD, born February 11, 1973 in Bethesda, Montgomery, Maryland. 134. Curtis Calvin7 HOWARD (Calvin Curtis6, Frank David5, Curtis Marion4, David Alexander (H.? )3, Alexander2, Thomas1) was born September 22, 1935 in Muskogee, Muskogee, Oklahoma. He married Beverley Jean HEPBURN April 19, 1958 in Reno, Washoe, Nevada. She was born April 13, 1940 in Carlisle, Cumberland, Pennsylvania. 155 i. Robin Ann8 HOWARD, born March 15, 1959 in Alameda, Alameda, California; died March 19, 1959 in Children's Hosp., Oakland, Alameda, California. 156 ii. Kevin Curtis HOWARD, born May 31, 1961 in Alameda, Alameda, California; died January 19, 1998 in Pleasant Hill, Contra Costa, California. + 157 iii. Shawn LYNN HOWARD, born July 09, 1964 in Alameda, Alameda, California. 135. Toby Lee7 HOWARD (Calvin Curtis6, Frank David5, Curtis Marion4, David Alexander (H.? )3, Alexander2, Thomas1) was born April 01, 1938 in Tulsa, Tulsa, Oklahoma. He married Linda Joyce FLAMM February 24, 1964 in Oakland, Alameda, California. She was born November 04, 1941 in Oakland, Alameda, California. 158 i. Kathleen Marie8 HOWARD, born February 06, 1968 in Oakland, Alameda, California. 159 ii. Curtis Lee HOWARD, born February 11, 1971 in Oakland, Alameda, California. 136. Jack MARTIN7 HOWARD (Calvin Curtis6, Frank David5, Curtis Marion4, David Alexander (H.? )3, Alexander2, Thomas1) was born January 26, 1940 in Napa, Napa, California. He married Betty Jane HEPBURN March 04, 1962 in Reno, Washoe, Nevada. She was born January 23, 1942 in Mount Kisco, Westchester, New York. 160 i. Calvin Scott8 HOWARD, born July 31, 1965 in Alameda, Alameda, California. He married Jeanette Michelle REYNAUD August 14, 1993 in Our Lady ofGrace, Castro Valley, Alameda, California. + 161 ii. Karen Anne HOWARD, born December 29, 1968 in Alameda, Alameda, California. 137. Patricia7 HOWARD (Calvin Curtis6, Frank David5, Curtis Marion4, David Alexander (H.? )3, Alexander2, Thomas1) was born August 23, 1942 in Concord, Contra Costa, California. She married (1) Gerald DeTREVILLE 1961 in Alameda, Alameda, California. He was born August 26, 1941 in Alameda, Alameda, California. She married (2) Vincent PAUL BAIL July 16, 1968 in Reno, Washoe, Nevada. He was born December 15, 1940 in Kansas City, Jackson, Missouri. 162 i. Jon-Paul (De Treville)8 BAIL, born July 18, 1965 in Alameda, Alameda, California. 163 i. David HOWARD8 BAIL, born April 18, 1969 in Alameda, Alameda, California. 164 ii. Patrick Vincent BAIL, born January 29, 1971 in Alameda, Alameda, California; died May 15, 1971 in Oakland, Alameda, California. 165 iii. Stephen Kevin BAIL, born January 11, 1973 in Alameda, Alameda, California. 138. Billy John7 HOWARD (Calvin Curtis6, Frank David5, Curtis Marion4, David Alexander (H.? )3, Alexander2, Thomas1) was born August 08, 1946 in Oakland, Alameda, California. He married Rori PRICE August 03, 1968 in Carmel, Carmel, California. She was born September 18, 1947 in San Francisco, San Francisco, California. 166 i. Kelly Jeanne8 HOWARD, born March 27, 1974 in Walnut Creek, Contra Costa, California. 167 ii. Heather Lynne HOWARD, born December 24, 1976 in Fremont, Alameda, California. 140. David Asa7 HOWARD (Ercell HOBART HANEY6, Frank David5, Curtis Marion4, David Alexander (H.? )3, Alexander2, Thomas1) was born November 08, 1938 in Tulsa, Tulsa, Oklahoma. He married Nancy Ethel TEEL November 27, 1959 in Epworth Methodis, Tulsa, Tulsa, Oklahoma. She was born March 29, 1938 in Tulsa, Tulsa, Oklahoma. 168 i. Asa Allan8 HOWARD, born February 06, 1961 in Stillwater, Payne, Oklahoma. He married Lydia DeAnn ALLARD April 21, 1984 in Amarillo, Potter, Texas. + 169 ii. Lisa Kay HOWARD, born January 08, 1965 in Kansas City, Wyandotte, Kansas. 141. Dan Allan7 HOWARD (Ercell HOBART HANEY6, Frank David5, Curtis Marion4, David Alexander (H.? )3, Alexander2, Thomas1) was born May 13, 1941 in Tulsa, Tulsa, Oklahoma. He married Linda WOLNEZ June 18, 1978 in Newport Beach, Orange, California. She was born September 15, 1945 in Detroit, Wayne, Michigan. 170 i. Bryan David Joseph8 HOWARD, born June 16, 1980 in Costa Mesa, Orange, California. 142. Sue Ann7 HOWARD (Ercell HOBART HANEY6, Frank David5, Curtis Marion4, David Alexander (H.? )3, Alexander2, Thomas1) was born October 20, 1944 in Tulsa, Tulsa, Oklahoma. She married Tom WARD ROSS July 23, 1966 in Epworth Methodis, Tulsa, Tulsa, Oklahoma. He was born December 29, 1942 in Kansas City, Clay, Missouri. 171 i. Ercela Jean8 ROSS, born July 31, 1970 in Pueblo, Pueblo, Colorado. She married James Lee EIFERT April 26, 1996 in Key Biscayne, Dade, Florida. 143. Gary Roger7 HOWARD (Covell TAYLOR "Nut"6, Frank David5, Curtis Marion4, David Alexander (H.? )3, Alexander2, Thomas1) was born August 10, 1952 in Oklahoma City, Oklahoma, Oklahoma. He married Melda Darlene RIGGS August 21, 1971 in Crown Heights Me, Oklahoma City, Oklahoma, Oklahoma. She was born September 27, 1952 in Oklahoma City, Oklahoma, Oklahoma. 172 i. Jared Roger8 Howard, born November 23, 1975 in Bartlesville, Washington, Oklahoma. He married Janice Desormeau July 25, 1998 in Church of Christ, Dewey, Washington, Oklahoma. 173 ii. Greg Andrew HOWARD, born April 23, 1978 in Bartlesville, Washington, Oklahoma. 174 iii. Betsy Christine HOWARD, born August 23, 1979 in Bartlesville, Washington, Oklahoma. 144. Wayne Douglas7 HOWARD (Covell TAYLOR "Nut"6, Frank David5, Curtis Marion4, David Alexander (H.? )3, Alexander2, Thomas1) was born September 08, 1954 in Oklahoma City, Oklahoma, Oklahoma. He married Donna Jean MATHIS August 21, 1976 in First Christian, Beaver, Beaver, Oklahoma. She was born April 21, 1957 in Beaver, Beaver, Oklahoma. 175 i. Allicia Leigh8 HOWARD, born August 18, 1980 in Oklahoma City, Oklahoma, Oklahoma. 176 ii. Melissa Anreka HOWARD, born May 28, 1983 in Oklahoma City, Oklahoma, Oklahoma. 149. Judd7 McClarren (Lawrence6, Bruce K.5, Mary Agnes4 Howard, Dresden Winfield Huston3, Edward2, Thomas1) was born 1955. He married Rebecca ???. 150. Debra Kay8 HOPPE (Mary Ann Rogers7 SEARLES, Anna Mae6 HOWARD, Frank David5, Curtis Marion4, David Alexander (H.? )3, Alexander2, Thomas1) was born November 15, 1957 in Borger, Hutchinson, Texas. She married Michael Lee NIEMANN April 25, 1981 in Christ Lutheran, Odessa, Ector, Texas. He was born August 17, 1953 in San Saba, San Saba, Texas. 179 i. Maxim Carl9 NIEMANN, born April 13, 1996 in Nishney Novgorod Russia; Adopted child. Maxim Carl NIEMANN was officially adopted by Michael Lee NIEMANN & Debra Kay HOPPE NIEMANN in court in Nishney Novgorod Russia on March 17, 1999. They arrived home to Angleton, TX on Tuesday, March 23, 1999. Max was 2 years old, soon to become 3 years old on April 13, 1999. He was met at the Houston Intercontinental Airport by Grandfather Herman Loyd HOPPE, Grandmother Mary Ann SEARLES HOPPE, friend Lori HARPER EVANS, and Brad EVANS. They arrived at 9:19 p.m. on Delta airlines after traveling for over 24 hours from Nishney by train and plane. They were in the U.S. Embassy in Moscow on Monday March 22, 1999 and on Tuesday March 23rd the Embassy was bombed in protest of the U.S. involvement in Bosnia. They were on the last flight out of Moscow, before all flights were suspended due to terrorists threats. Debra & Michael were unaware of any of this. 151. Diane Fay8 HOPPE (Mary Ann Rogers7 SEARLES, Anna Mae6 HOWARD, Frank David5, Curtis Marion4, David Alexander (H.? )3, Alexander2, Thomas1) was born July 27, 1960 in Odessa, Ector, Texas. She married Raymond Warren PUCKETT June 15, 1985 in Risen Lord Luth., Odessa, Ector, Texas. He was born September 13, 1955 in Martinsville, Henry, Virginia. 180 i. Sally Ann9 PUCKETT, born July 31, 1991 in Arlington Hosp., Arlington, Tarrant Co., Texas. 181 ii. Kathryn Rose (Katie) PUCKETT, born May 21, 1998 in HEB Harris Hosp, Bedford, Tarrant, Texas. 152. Edward Leo "Eddie"8 YEAGER (Beverly Beatrice7 HOWARD, Leo BOWMAN6, Frank David5, Curtis Marion4, David Alexander (H.? )3, Alexander2, Thomas1) was born April 22, 1963 in Tulsa, Tulsa, Oklahoma. He married Jan Shu-Chuan CHEN April 24, 1993 in Univ of Central, OK - Y Chapel, Edmond, Oklahoma. She was born March 28, 1964 in Tainan, Taiwan. 182 i. William Edward9 YEAGER, born June 11, 1995 in Oklahoma City, Oklahoma, Oklahoma. 183 ii. Daniel Albert YEAGER, born September 18, 1998 in Oklahoma City, Oklahoma, Oklahoma. 157. Shawn LYNN8 HOWARD (Curtis Calvin7, Calvin Curtis6, Frank David5, Curtis Marion4, David Alexander (H.? )3, Alexander2, Thomas1) was born July 09, 1964 in Alameda, Alameda, California. She married David Kenneth HARRIS October 09, 1993 in Pleasanton, Alameda, California. 184 i. Hayden Scott9 HARRIS, born September 22, 1995 in California. 161. Karen Anne8 HOWARD (Jack MARTIN7, Calvin Curtis6, Frank David5, Curtis Marion4, David Alexander (H.? )3, Alexander2, Thomas1) was born December 29, 1968 in Alameda, Alameda, California. She married Steve NICHOLS in California. 185 i. Alec Leland9 NICHOLS, born February 1995 in California. 169. Lisa Kay8 HOWARD (David Asa7, Ercell HOBART HANEY6, Frank David5, Curtis Marion4, David Alexander (H.? )3, Alexander2, Thomas1) was born January 08, 1965 in Kansas City, Wyandotte, Kansas. She married Kenneth Alan BROWN August 22, 1987 in Victory Mem Meth, Guymon, Texas, Oklahoma. He was born April 07, 1963 in Wickenburg, Maricopa, Arizona. 186 i. Sterling Alana9 BROWN, born September 22, 1989 in Wichita Falls, Wichita, Texas. 187 ii. Swasey Worn Asa BROWN, born October 27, 1991 in San Antonio, Bexar, Texas.